Our general aim is to make young people more aware of the diversity of Europe and to enable them to participate in activities that promote this diversity. We hope to encourage and foster respect among young people for Europe’s cultural, linguistic and ethnic richness by providing opportunities for them to share their experiences, feelings and points of view. MINORITIES: The rights of national and ethnic minorities are important because states attempt to implement policies that effectively aim to assimilate minority groups. This is therefore a human rights issue, but the European judicial system does not have sufficient power to effectively protect minority peoples, living within a particular state. In addition it is our opinion that the European policies on human rights that do exist do not go far enough in their measure of protection to national and ethnic minorities. Our work in this area is to make people more aware of the problematic situation that exists, when it comes to European minority human rights issues. We aim to enable young people to participate in different events and enjoy meeting with people of different points of view from other national minority and ethnic minority groups throughout Europe. LANGUAGES: There are more than 50 languages in Europe, but only 23 of them are ‘officially’ recognised. Language is not only a way of communicating, but it is also part of who we are; it is a mark of our identity and an instrument with which we see the world. Due to the fact that some European languages are not officially recognised means that they are disadvantaged and in essence are being discriminated against. Consequently, they are reduced to a minimum existence or they disappear altogether. Taking this situation into account, it is obvious that many things must still be done to protect Europe’s languages. Europe’s languages are part of what makes our continent unique in the world. They not only need protection, but also promotion in the political, juridical, economical, and social realms and at all levels of government. Solutions leading to the promotion and protection of all of Europe’s languages need to be implemented at the local through to the European institutional levels. It is our belief that our languages are an important part of Europe’s heritage and they should be protected and promoted. 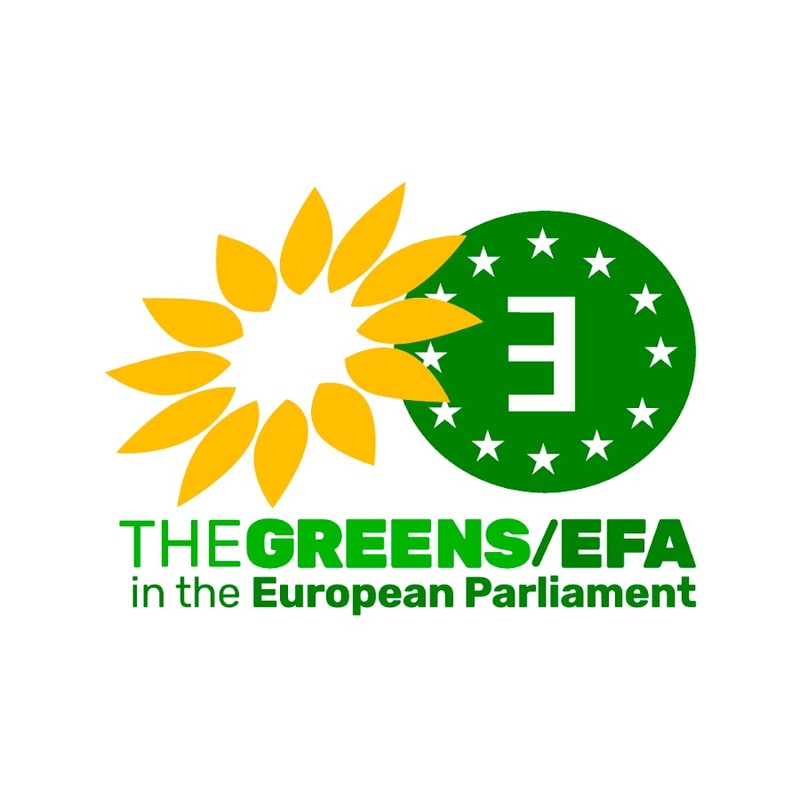 EFAY is active in campaigning for the promotion and protection of all European languages. STATELESS NATIONS: Europe consists of 46 political states, 25 of which are part of the European Union and 4 are accession candidates. Even though this is the present situation of the European Union, we subscribe to the view of a ‘Europe of the Peoples’ and not a Europe of states. 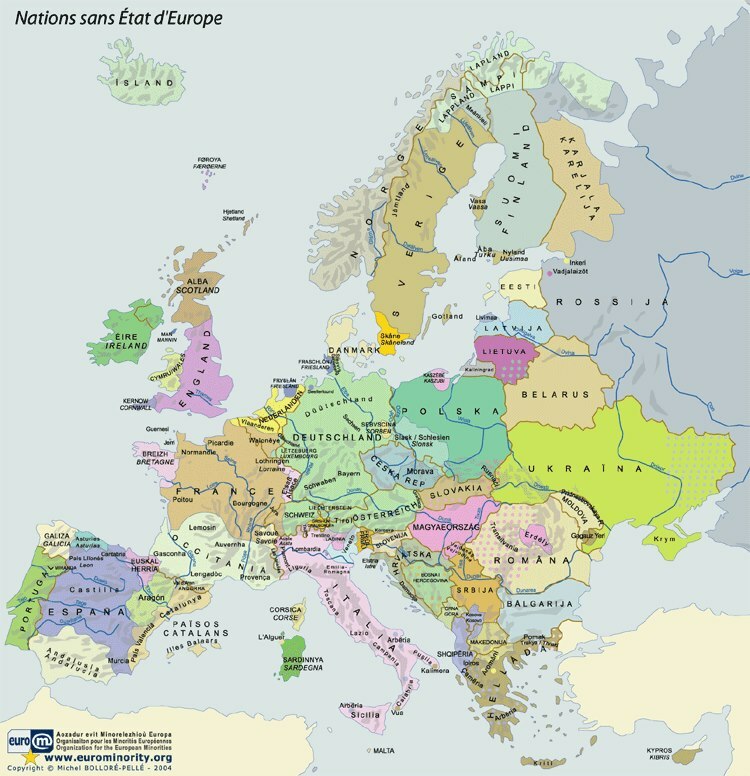 A map showing a ‘Europe of the People’, would change the European map completely. It would become a multicoloured map where the different colours showed where different people were settled. These would be the boarders. We refuse to accept the idea of a Europe of the States, because we believe that each identity is equally valid and each nation-region-country has equal and undeniable rights. Our aim therefore is to achieve official recognition and acceptance of all Europe’s different national identities, which will allow all people to feel free in their sense of national belonging. Each territorial entity should be allowed to develop its own opportunities (culturally, governmentally, legislatively etc.) and be given equal means to develop these opportunities, so that policies can be implemented at all levels. The Europe of States has been defined by our continents war history; we want a Europe that is defined by the people and not a ruling political elite. IDENTITIES: Issues of identity raises all sorts of different feelings in people, both positive and negative. Politics and identity don’t always lie well together and consequently it is very difficult to find political solutions to some problems when identity issues are involved. When this is the case political activity in general can become very strained. However, identities issues are at the centre of the EFAY political discourse. We must accept this reality, because it defines our aims and hopes and it is through identity that the other elements of our organisation (cultures, minorities, languages, and nations) find their sense and order. For the EFAY to achieve the respect and understanding among people and institutions for our different identities, we must first strive for their official acceptance and this is the main objective of our organisation in this field.